Don’s achievements were recognised with his appointment as Officer of the Order of Australia, and receipt of the Prime Minister’s Centennial Medal. He will be remembered for his peerless surgical skill, clinical acumen and quite extraordinary instincts. Professor Don Esmore, Director of the CJ Officer Brown Cardiothoracic Unit at the Alfred Hospital, died at his Toorak home on 12 February 2013 of multiple myeloma, aged 63. Born to Lionel and Vida Esmore, Don attended Essendon State and High Schools. He undertook his MBBS at the University of Melbourne, graduating in 1973, and subsequently worked at PANCH, Prince of Wales, Wollongong and Sydney hospitals, before being appointed a cardiothoracic surgical registrar at Sydney’s St Vincent’s Hospital. After this he undertook an eighteen-month fellowship at Papworth Hospital in Cambridge, returning to St Vincent’s in 1985 as a staff Cardiothoracic Surgeon. He performed Australia’s first heart-lung transplant in 1987 with Victor Chang, Mark Shanahan and Phil Spratt. Don then moved to head a second national cardiothoracic transplant program at the Alfred Hospital in 1989, where he performed 30 consecutive heart transplants without an early death, elevating his program to world class. 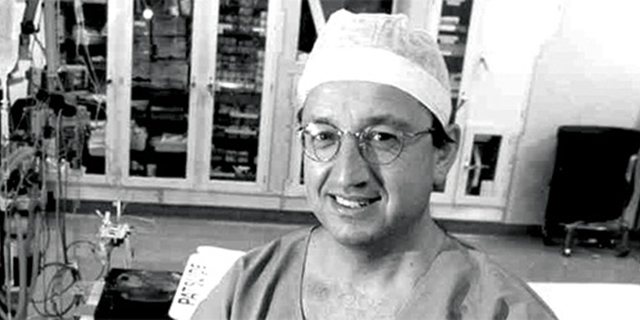 In 1990 he performed Australia’s first domino heart-lung transplant, his program undertook its first single lung transplantation, and commenced support and retrieval using extra corporeal membrane oxygenation. Two years later his program undertook its first double lung transplantation. Other important innovations led by Don’s program included heterotopic heart transplantations, modifying lung transplant techniques including improved airway anastomosis, and cutting down lungs to fit smaller recipients. Don was passionate to not waste any useable organs, retrieving them from donors located in areas beyond the five hours considered the limit of ischaemic time at the time, but still achieved superb transplant outcomes in his transplants. The proportion of donors used for lung transplants became the highest in the world in 1996. He was also passionate about artificial heart technology and performed his first Thoratec LVAD insertion in 1990. His team performed more than 1566 thoracic transplants and over 10,000 open-heart surgeries. Don was a leader and innovator in his field. He was also an energetic person, both professionally and personally. His great passion was cars. He enjoyed spending time at his beach house in Whale Beach with friends and family.